"The Two of Hearts is often called the Lover's Card, and most Two of Hearts are compelled by the quest for the perfect romantic union. Business partnerships are likely for the Two of Hearts, and may be great catalysts for growth. 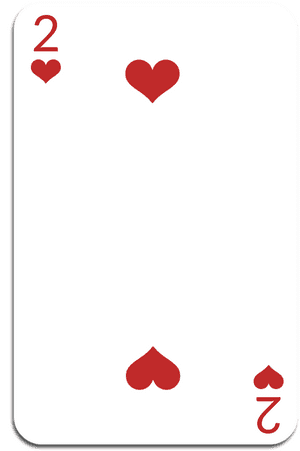 It is likely that the partner to the Two of Hearts in this situation may have a parental or teaching role. Or it may..."